Omron HJ-112 Digital Pocket Pedometer Review and Pricing. Wouldn’t it be fun to know how far and how much you are walking during your travels? Well, I want to know that and am trying to increase how much I walk daily. Before now, I had trouble with pedometers. They had to be clipped on just so. They had to be reset each day. But recently I found a pedometer online that you can carry in your pocket, or clip it on a belt or wear it on a lanyard. I just love this flexibility. Right now I’m at home, so I am tracking steps. 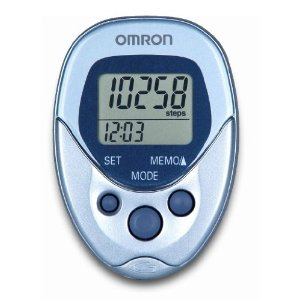 But the Omron HJ-112 Digital Pocket Pedometer can tell you how many miles and kilometers you have walked. I paid just over $20 and think that was a great deal.